Before anything happens, you need to be a member of these credit card companies. Don’t worry, we’ll walk you through this process! For Mastercard, there is a variety of options to choose from – but don’t worry, they made it very simple and easy to use! To start, jump over to https://www.mastercard.us/en-us/consumers/find-card-products/index.php . (Links are subject to change for individual countries outside of the US). When you’re there, browse through the multiple cards that Mastercard offer. Once you’ve found one, simply follow along with the prompts in selecting that card. And in no time – you too can be a Mastercard member! For a Visa Card, follow the link and sign up to a desired card: https://usa.visa.com/pay-with-visa/cards/card-advisor.html. (Links are subject to change for individual countries outside of the US). Sign up for a card, follow the prompts provided (Different per country), and there you go – you have a Visa Credit Card! 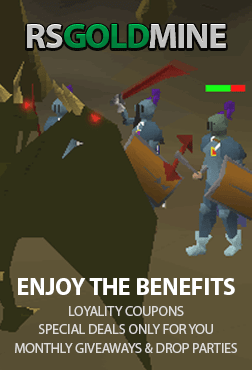 You’re now a credit card member, and that means it’s time to get your RS Gold! To do this, jump over to our Runescape gold buying webpage at https://www.rsgoldmine.com/buy-runescape-gold . From there, you’ll be presented with our main interface that our customers use to buy their RS Gold. Simply choose from our selection of platforms in which we sell Runescape Gold (OSRS & RS3), select your desired amount, followed by your username (In the provided fields). Once your finished, hit the ‘Buy Now’ button towards the button and continue on to checkout! The finish line is so close! All it takes now is the final checkout. Once your at the checkout page, you’ll be greeted with our vast amount of options to choose payments from. You’re looking for the Mastercard and Visa icon. Once you found and clicked it, checked over all details of your payment, click the ‘Checkout’ button in the bottom right. From here, you’ll be taken to the Mastercard and Visa side of things. You’ll be asked to enter and confirm your credit card details (Don’t worry – this is done securely! ), and thats it – you’ve successfully bought RS Gold! Congratulations, you’ve made your credit card account, and payed for Runescape Gold! Now its time for the fun bit. At the bottom right corner of our webpage, you can see a live chat widget that can be extended once clicked on. Use it to then be connected to our team who would happily take your orders. They’ll organize a meetup place and time for you, so you can get your RS Gold! Anything you still want to know? Our live chat team will happily take your quiries! Thank you for using RSGoldMine, and we look forward to doing more business with you.